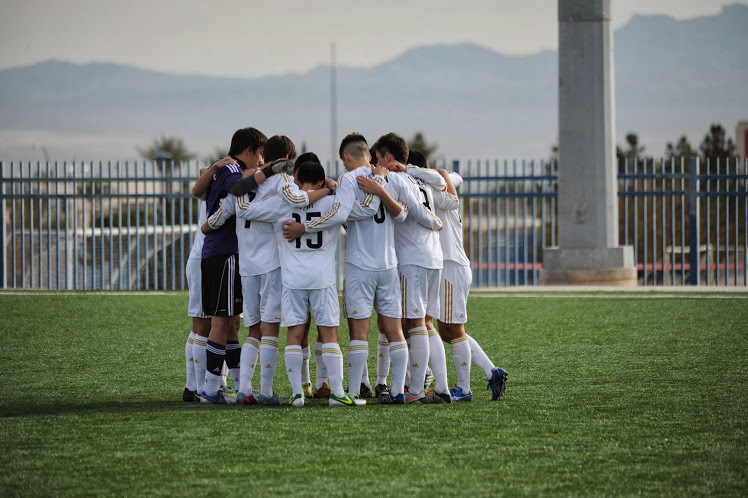 During the middle of February the ASIJ boys’ varsity soccer team competed in the Mayor’s Cup International Showcase Tournament in Las Vegas, Nevada. Showcase tournaments feature premier and elite soccer clubs that contain many of the best players in the region. It is a prime opportunity for these players to get exposure to college coaches and recruiters from the U.S. 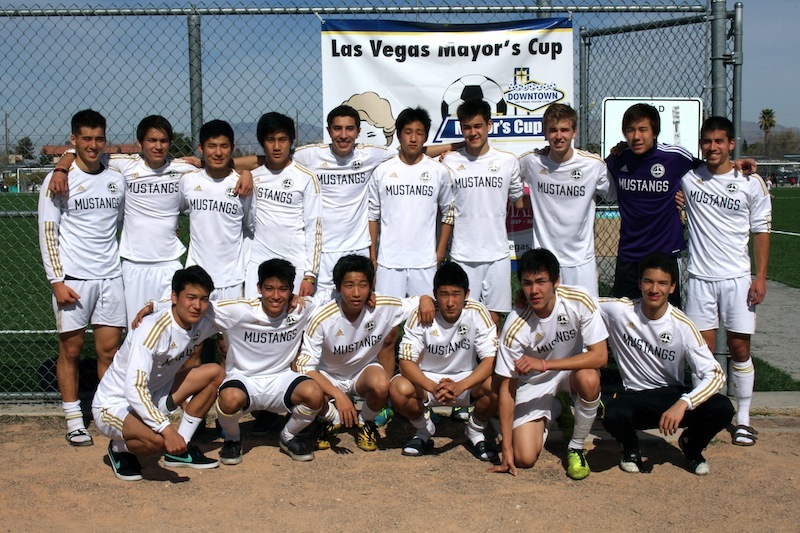 The ASIJ team was invited to attend by Roger Tabor of the Downtown Las Vegas Soccer Club and was the first team ever to come from Japan. The tournament had a true international feel as the Mustangs competed against teams from the U.S., Canada, and Brazil. They also shared a hotel with teams from the Cayman Islands, Australia, Brazil, and a practice field with a team from France. The teams, both boys and girls, range in age from U-14 to U-19. The competition was quite good and the games spirited as the Mustangs played with flair and determination. They finished fourth in a group of twelve teams eventually getting knocked out by the Brazilians.